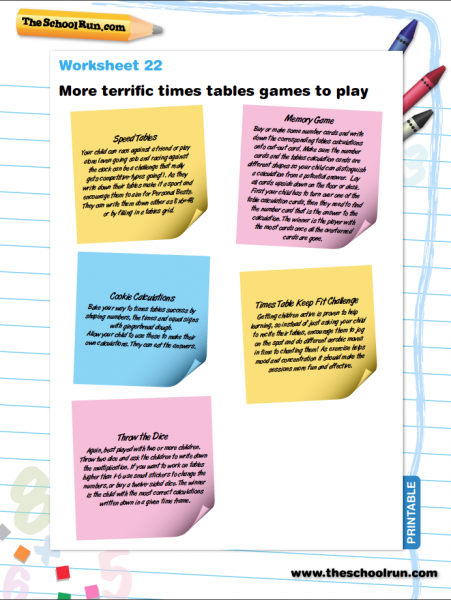 Our Terrific Times Tables pack is full of ideas and tips to help your child learn – and even enjoy it! We share practical ideas for memorising all 12 sets, as well as tips to help make practice easy. 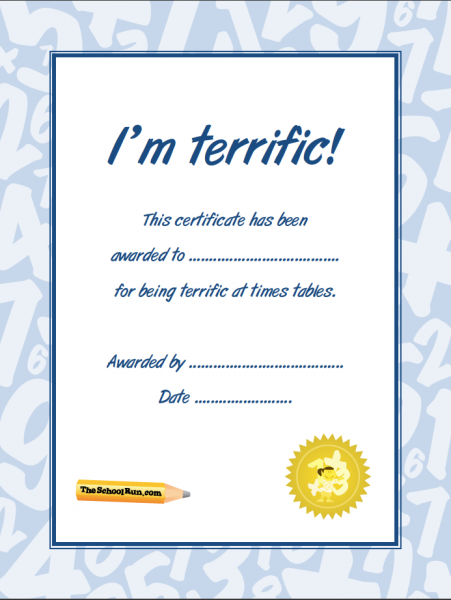 Download your pack now to reinforce your child's learning with fun games and quizzes and print out achievement certificates to reward their effort. 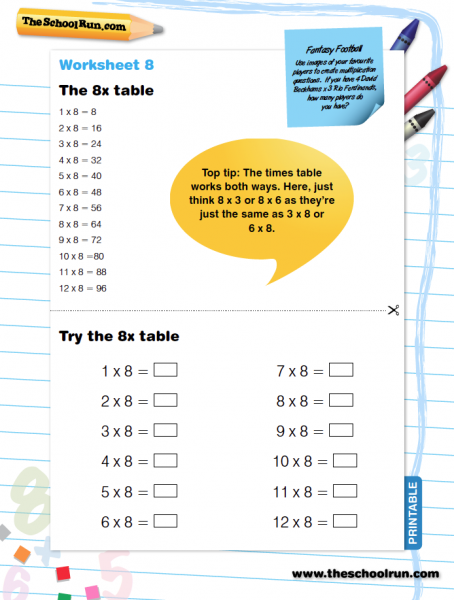 Printable worksheets for each times tables set from 1 to 12, with cut-out-and-keep practice set – print as many times as you need! 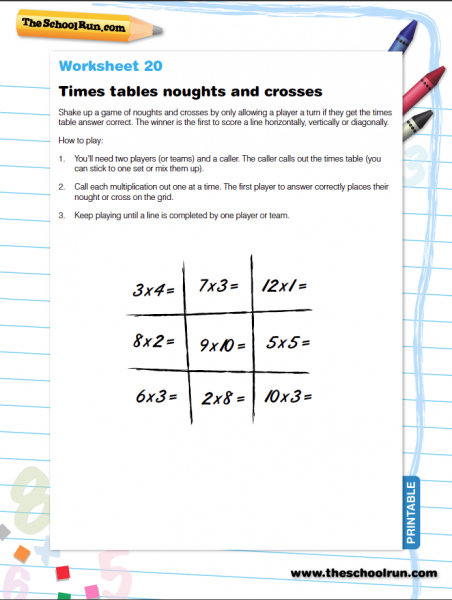 For times tables puzzles and games to make learning fun, download our Times Tables Funpack, and don't forget to browse through our 60+ times tables worksheets to offer your child extra practice.